Don't miss a chance to see this home just mins to I5 & Woodland. Sits approx. 1/4 mile off Lewis River. 4Brm+Library+Den+Bonus Rm! Don't miss covered/octagonal fire pit w/stamped concrete, cedar siding all around, wrap around porch + cvd patio, high ceilings, OS garage, tons of storage. 36x48 shop w/12' lean to's on 3 sides. Fncd pasture for animals. Btfl flat land near Lewis River. NO Flood Ins Req. Just too much - come take a look! 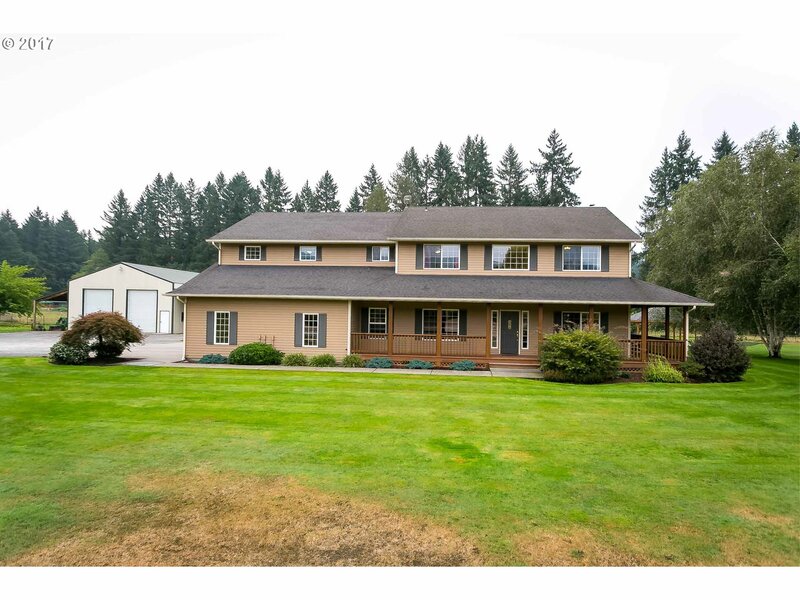 I am interested in the listing at 217 NW 432nd St, Woodland, WA 98674, MLS# 18569540.